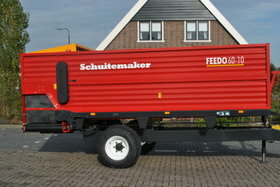 Feeding | Schuitemaker Machines B.V.  In times of computerisation and an increase in scale within modern dairy farming, the automation process is becoming a more and more important issue. 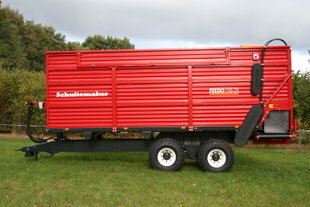 These days, automated dispensing of roughage is no longer a unique activity in the farmyard. 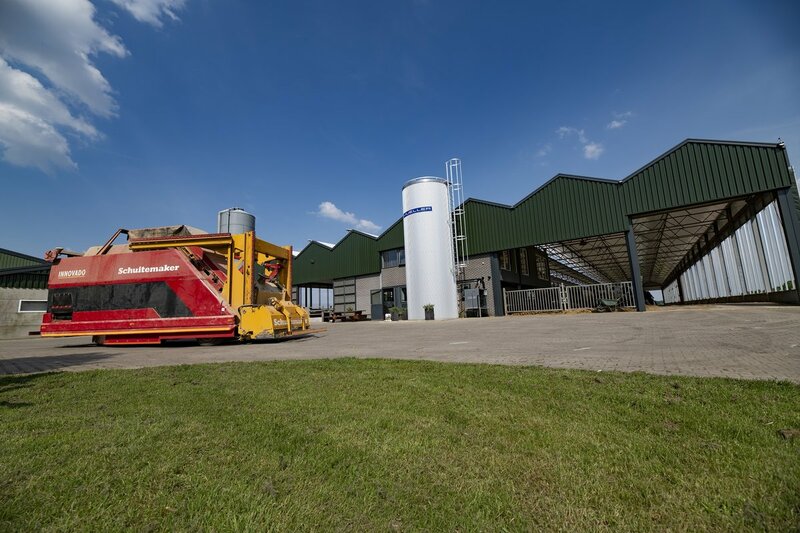 The Innovado, Schuitemaker's automatic feeding system, goes one step further: Fully automated roughage dispensing, straight ‘from the silage clamp to the cow’! The Amigo block and bale feeder wagon is particularly suitable for silage feed and maize blocks as well as for loose material. 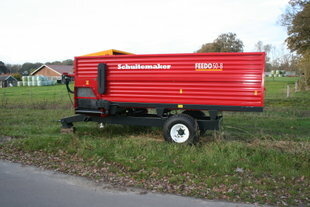 The S models have been developed for processing round and square bales in particular. 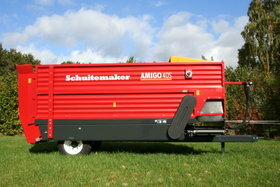 These models can be extended with cutters on the beater for processing any uncut materials. A true partner for life! 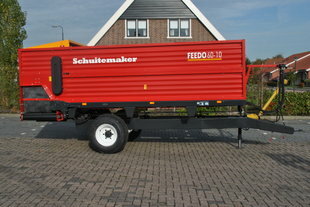 For many years, the Feedo has been the leading trailed forage feeder used to mix and dispense many types of feed. 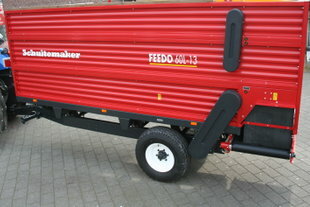 The special Feedo feed distribution rollers ensure that the feed is dispensed evenly and without loss of structure. 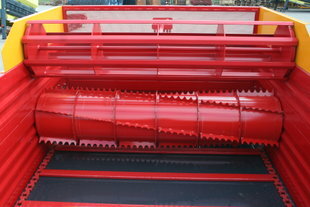 The side discharge conveyor is used to discharge the machine either to the left or to the right. 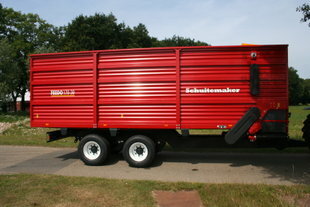 The machine can discharge from the front or from the back, as required; the choice is yours. 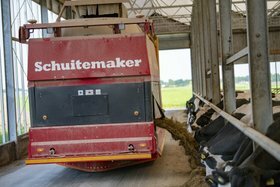 An optional weighing device gives a clever ration from the smallest feeding places to the largest barns. Here you will find more information about the Amigo and his unique benefits! Here you will find more information about the Feedo and his unique benefits! Here you will find more information about the Innovado and his unique benefits! 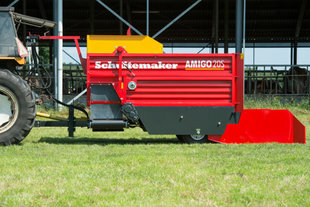 Schuitemaker’s trailed forage feeders marketed under the brand names of Amigo and Feedo, have been household names for over 35 years. 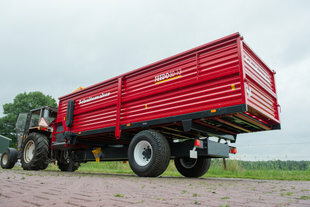 The machines stand out for their simplicity and durability. The quality and finishing of these machines are second to none. 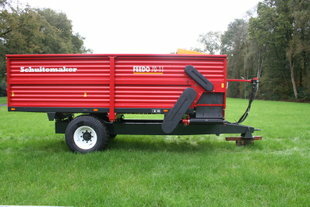 Especially made to suit the modern dairy farmer who wants to feed his herd in a sensible and easy way. 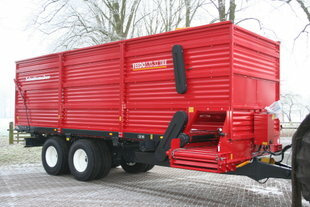 New on the market is the Innovado, the fully automated feeding system. 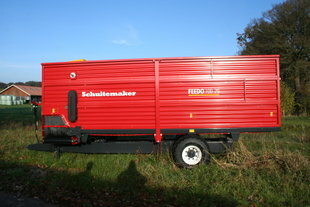 After many years of testing, the Innovado is ready for sale and available for just about any dairy farm.